Building effective defenses against fraud is an ongoing battle. What makes it even more difficult is that, while the good guys are forced to play by the rules (and there are hundreds of them), the bad guys have no regulatory boundaries to deal with. To say it’s often a lopsided landscape would be an understatement. Online fraud is exploding and, at the moment, account takeover (ATO) is a major culprit. Hackers are stealing username/password combos in droves—information that consumers are using multiple times, compromising their own identities and giving fraudsters the tools they need to operate under the guise of a trusted customer. While this was once a problem mainly for banks, as retailers and other merchants ask their customers to establish online accounts linked to a payment method it has mushroomed into an epidemic of ATO making it very easy for criminals to go about their work undetected. 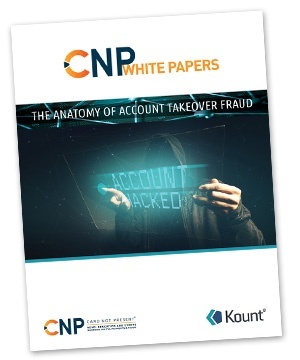 Get our white paper to learn how to detect and prevent ATO fraud by fraudsters who utilize stolen pii, bots and your employees against you.